Luane was so amazing to work with! She was tough but comforting at the same time. She always remained positive and to go above that got me an amazing Lon and interest rate! She is so good at what she does!! 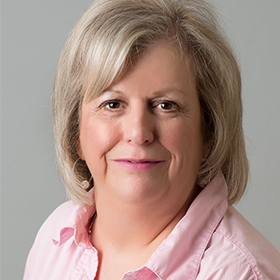 Luane Smith went above and beyond what we would have expected during the mortgage process! As first time homebuyers, we had a lot of questions along the way. We would ABSOLUTELY recommend Sierra Pacific Mortgage and Luane Smith! Luane Smith was wonderful and worked quickly for us and we have recommended her and Sierra Pacific to several people already! We would gladly work with her or the company again in the future. Luane was great throughout the process - she spent considerable time with me as I put offers on multiple listings and asked her for approvals each time. It seemed like she cared and wanted me to get the best place for me. Luane was wonderful. She was very knowledgeable and gave us all of the information we needed to make an informed decision about our financial decisions. We appreciated her timeliness and her dedication to us as her clients.